This is the sixth generation of the impressive BMW 7 Series which goes on sale this month. The flagship car comes in two body variants with the longer wheelbase offering more rear space than the model it replaces. The new engines are not only more powerful but also much lighter, around 130 kg lighter than the current 7 Series engine. Drivers should expect economy of 42mpg for the 74Li, 60mpg for the 730d and 135mpg for the 740e. There is a 3.0 litre petrol unit available with 326 HP, which is slightly more than the current version. Drivers can also opt for the 3.0 litre diesel unit which produces 265 HP and there are also two plug-in hybrid models which are being mated to a 2.0 litre petrol unit. Considering the size of the car, the BMW 7 Series hybrids have a range of 25 miles and produce CO2 of 49g/km. They have also been fitted with an eight speed automatic gearbox and have a self-levelling air suspension system to make the drive as comfortable as possible. Drivers also get to enjoy the firm’s iDrive system in the new BMW 7 Series which employs a 12.3 inch touchscreen display. All of the car’s vital functions, including the air con, can be controlled from this screen. There’s also Bluetooth connectivity and a USB port as well as massage seats fitted as standard. There’s lots of kit for the 7 Series including satnav, a new head-up display system as well as autonomous parking. The new 7 Series also has a Stop & Go function to help boost economy and active cruise control. Among the many options is one for the driving assistance pack which includes rear crossing traffic warning and rear collision prevention. However, from summer next year, BMW will be adding things like an electronically controlled footrest for the passenger seat and a removable tablet package for use with any of the car seats. Many drivers will also get to experience the BMW executive lounge seating for the 7 Series which allows the backrest to recline to 42.5 degrees. 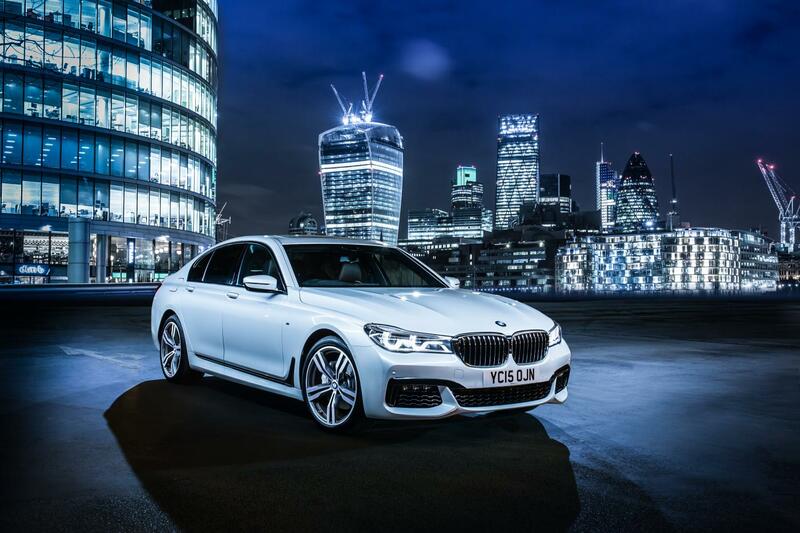 Prices start at £64,500 for the BMW 7 Series 730d model and rise to 76,300 for the 750i. Prices for the hybrids have not yet been revealed. This entry was posted in Car Leasing, Cars, Executive Cars, New Cars and tagged BMW 7 Series by Steve Lumley. Bookmark the permalink.